Video: Tesla Model S is "Unusual, Entertaining and Incredible"
Tesla Model S reviews are so last year. I mean, who hasn't seen at least a dozen Model S reviews by now? For some reason though, Model S reviews never seem to get old. There always seems to be something new in the review or an angle we'd not seen taken. 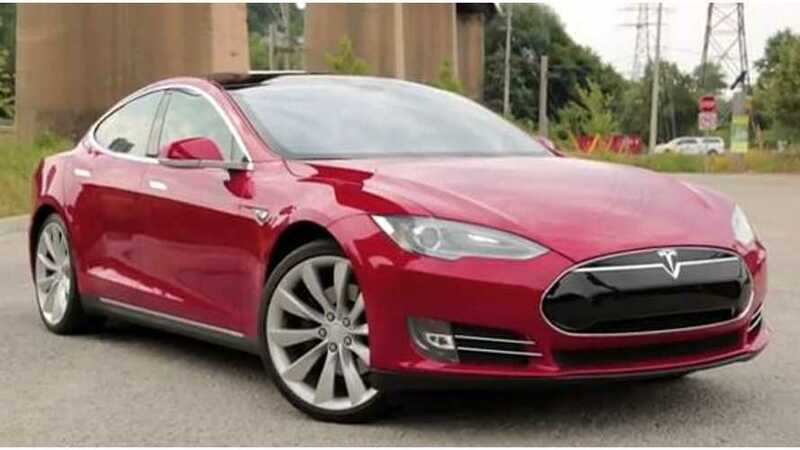 Here we present AutoGuide's Tesla Model S review. "Ask any owner about their Model S and they'll probably have a hard time coming up with reasons to complain about it. Even people who bought early models known to come with quality defects don't seem to mind. How is that possible?" Really? Is it true that even those who own those slightly defective Model S sedans still can't find something to complain about? "It probably wouldn’t matter if the Model S could drive 500 or even 1,000 miles on a single charge. Some people would still grouse over its limitations as an electric car. Limitations in charging infrastructure restrict what it can do. This is true. It’s also true that you’re unlikely to run into those limitations outside of unusually long drives." "Don’t let electric naysayers scare you away from the Model S. If you can afford a six-figure car, Tesla can offer you something unusual, entertaining and incredible."